Cactus Corridor in Arizona, aka Shea Corridor, is between downtown and North Scottsdale. The corridor is a rectangle from Tatum east to 104th Street, and from Thunderbird south to Shea Boulevard. Many of the properties in the Cactus Corridor were built in the 1040s, with horse stables and equestrian trails. Real estate boomed in the 80s and 90s, and horse properties were bought up by developers and new homes began to go in. Although luxury communities were built from 1970 to 2002, older homes still remain, and because they were able to successfully amend zoning to maintain equestrian experiences, you will find rural charm in the middle of busy Scottsdale, with the assurance that future developments keep the tradition of the area with low-density housing. When looking for things to do in the area, you will find many trails for bikers, walkers and equestrian facilities for horse lovers. The Cactus Corridor Community Pool is popular. With all ages. Old Town Scottsdale is about 15 minutes from the Cactus Corridor, as is Fashion Square. The Kierland Commons and Scottsdale Quarter is only ten minutes away if you are looking for some good shopping and fine dining. There are many public and private golf and country clubs in the area. Real estate in Cactus Corridor has a unique flavor because of its rural atmosphere being so close to the center of Scottsdale. Many of the older homes have plots over an acre. Besides the larger, rural homes, there are areas of prestigious homes, also on large lots. 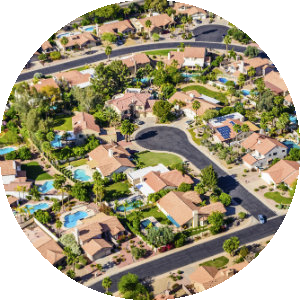 Many of the areas are not governed by a Homeowner's Association, but the areas of Bella Montagna, Rosalie Rand and La Cienega do have an HOA. Other neighborhoods include Desert Hills, Cactus Acres, Cactus Gates, Cactus Corridor, Highland Estates, Desert Wind, Devlin Estates, Montana Del Sol, La Tierra Estates, Preston Hills, Powderhorn Ranch, Scottsdale Foothills, Valley Ranchos, Tierra De Las Arcos, and Windrose Acres. Many of the homes have from 2,500 to over 10,000 square feet of living space. 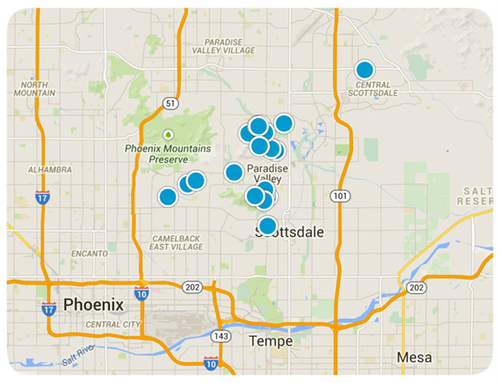 Students in the Cactus Corridor area are part of the Scottsdale Unified School District. 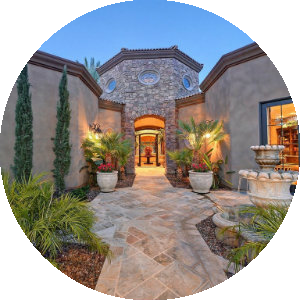 This diverse area, with its combination of prestige and rural charm, is a must consider destination for home buyers searching in the Scottsdale area. 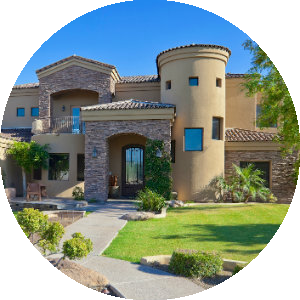 If you would like more information on homes for sale in Cactus Corridor of Arizona, please contact us today and allow us to assist you.